Aerospaced is well-known for producing high-quality grinders that grind your material to perfection and last a lifetime. This four piece metal grinder has three separate chambers which catch ground material and leftover pollen. 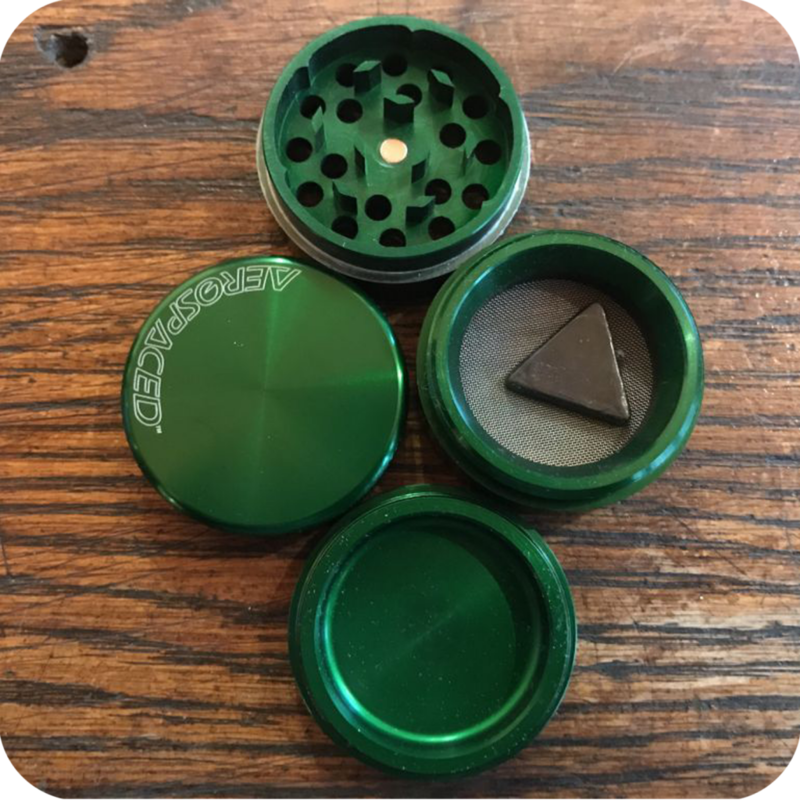 Aerospaced Grinders are made of high quality aluminum and are definitely among the best grinders that you can find in the US. 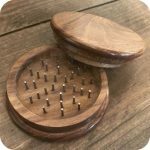 The small size of this grinder makes it much more portable and discreet than its larger counterparts, but don’t let this put you off! This baby will still grind your material with the same strength. These 40mm Aerospaced Grinders feature razor sharp teeth that will grind your material to perfection. And the better ground the herb, the better the smoke session. The lid further adds to user convenience with its simple to use mechanism. Just fill your material and bring the lid near the top and it snaps together perfectly due to its strong magnet. Below this first chamber is a mesh screen where your perfectly ground herbs will collect. This fine screen sifts out the smallest and most precious bits of herb called pollen. 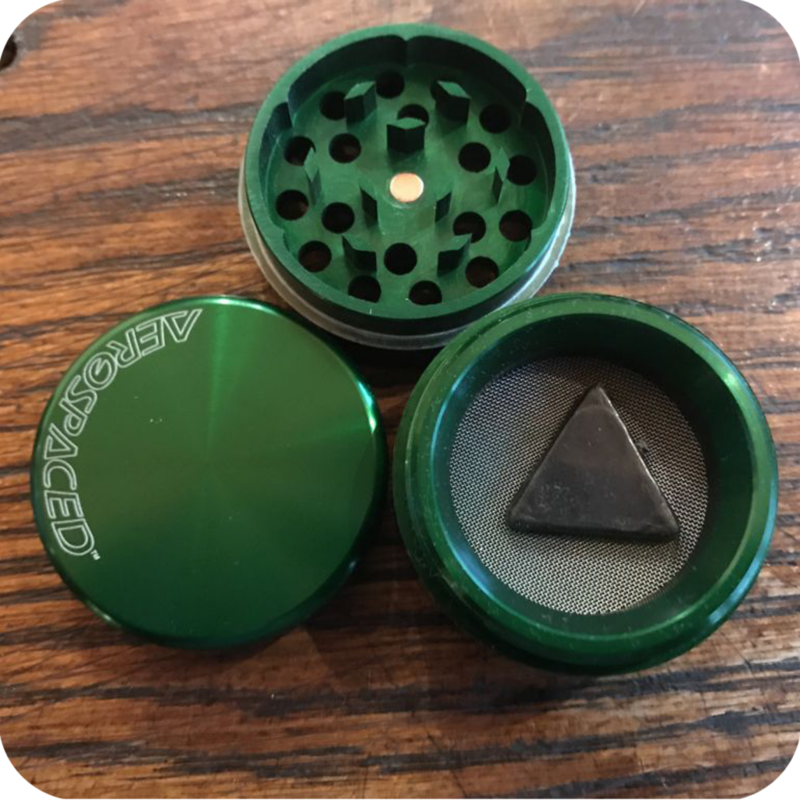 Unscrew the mesh layer and collect your pollen from the bottom chamber, which is perfect for sprinkling on top of a bowl or rolling in a cigarette. Each piece threads snugly together creating an easy, seamless grinding experience. Don’t rely on using your fingers to tear apart your material! First of all, sticky fingers are no fun. And loss of pollen is no way to live! It’s time to step up your grinding game. So set yourself up with an Aerospaced grinder! 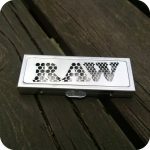 These grinders come in a variety of colors, including: light blue, gun metal black, orange, gold, rasta, and black. Please specify in the comments/notes section of your order which color you would like! 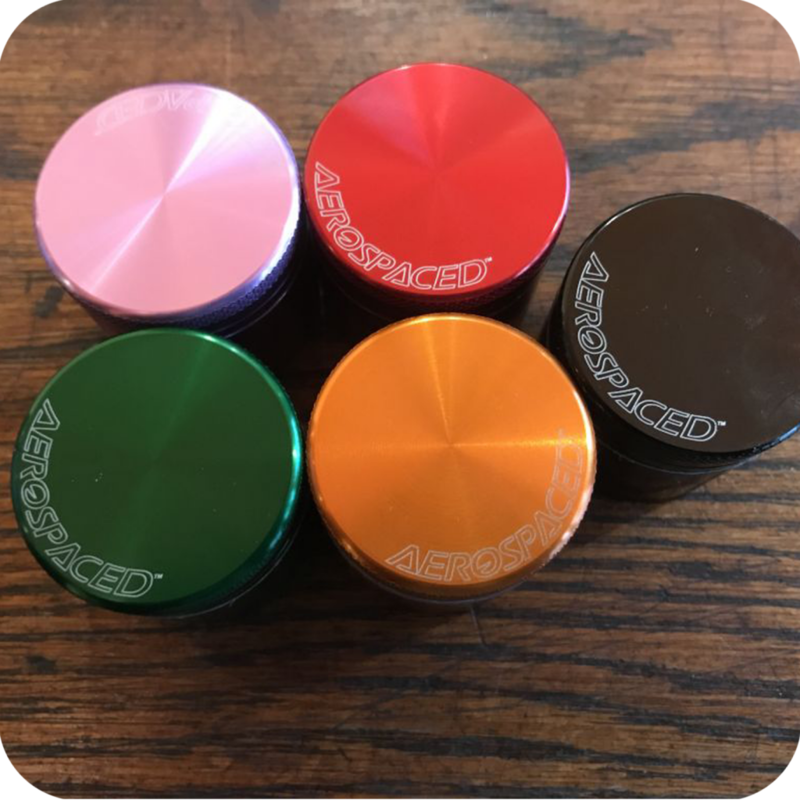 Be sure to check out all the other sizes we have in Aerospaced Grinders! 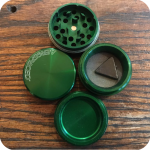 Tags: 38mm, aerospaced, aerospaced grinder, brooklyn smoke shop, four piece grinder, Grinder, Metal Grinder, nyc smoke shop.